NECA has unveiled one of the very first officially licensed collectibles for Marvel’s upcoming film Guardians of the Galaxy Vol. 2, and it is freaking adorable! Check out the life size Groot foam prop replica! This pint-sized baby Groot stands an amazing 10” tall (just like he will be in Guardians of the Galaxy 2), and was created using the actual digital files used in making the movie for 100% screen accuracy. Made of foam rubber and latex, this Marvel super hero is then hand painted for realistic detail. Fans can pre-order this epic Guardians of the Galaxy Vol. 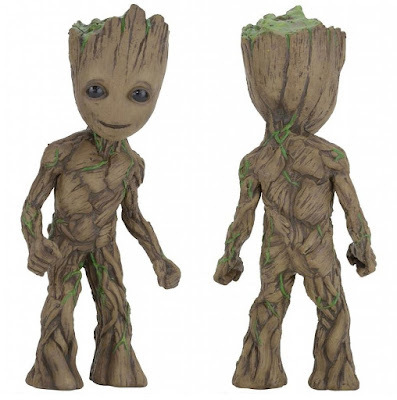 2 Groot Life Size Foam Prop Replica now at Entertainment Earth for just $26.99 here.